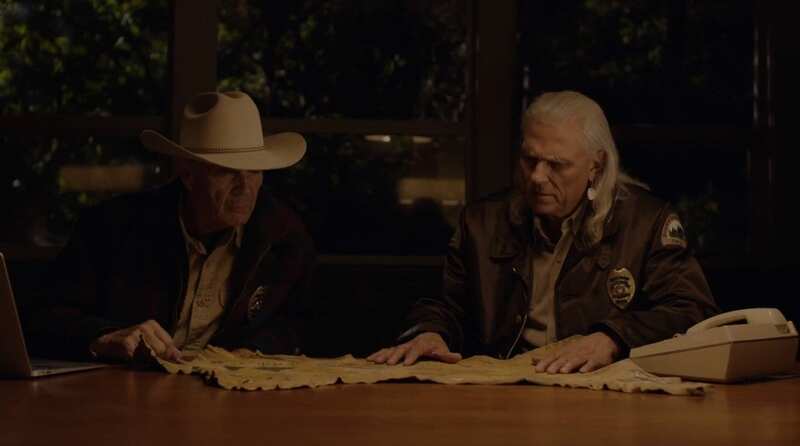 I believe that the elk skin map that Hawk showed Frank Truman in part 11 is a key in Twin Peaks, The Return. Because of that, here I will make an in-depth visual interpretation of its details and of the map as a whole. 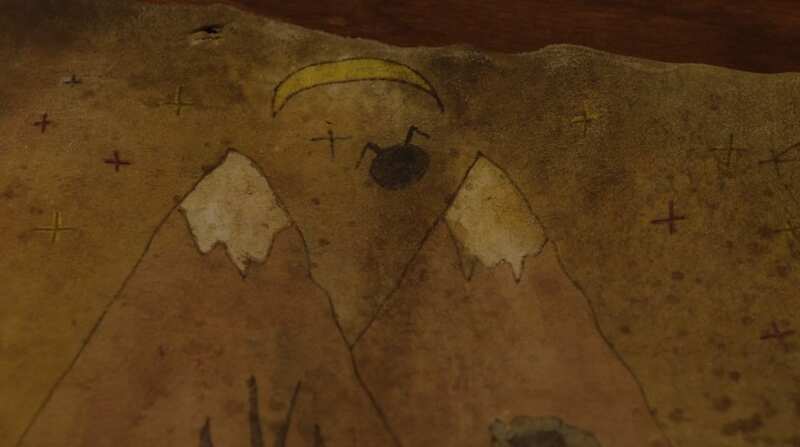 In the original run of Twin Peaks, we had the Owl Cave petroglyph. That “map” of sorts turned up to be absolutely crucial to the events leading up to Agent Cooper not only finding the Black Lodge, but ending up being stuck there for 25 years. Even though the Owl Cave map played out its role to a degree in the series, I felt that many of its details and symbols still remained clouded in mystery. That’s why I’ve already dug into the challenge of interpreting it in the most reasonable way I could think of: From an Alchemical point of view. 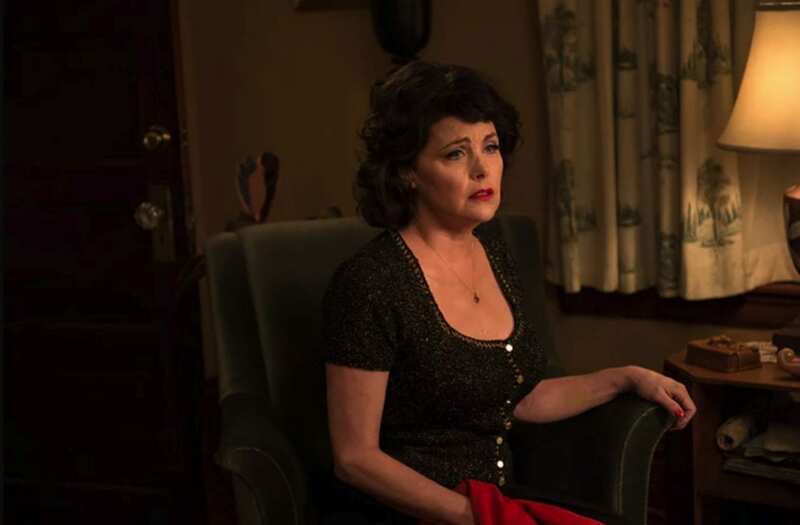 In Twin Peaks: The Return, when presented with another map – how can I resist giving it my best try to interpret this one, too? 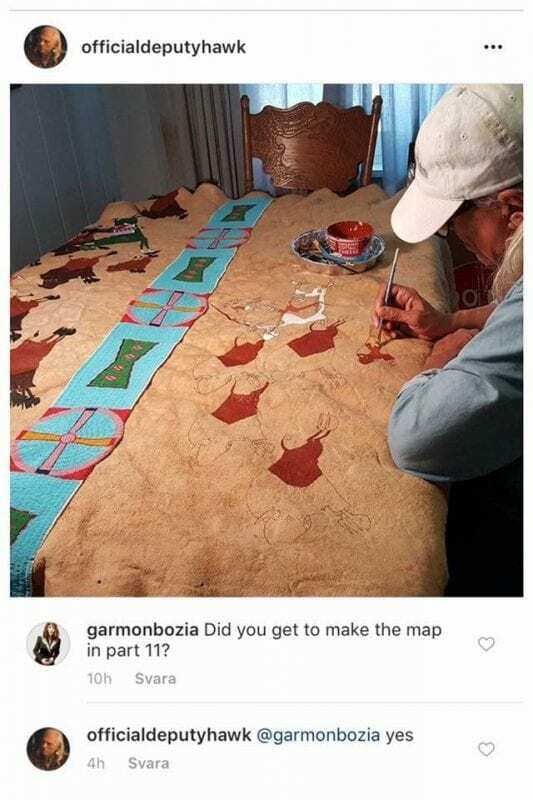 It began when I saw Michael Horse (who plays Hawk) in action on Instagram working on an art piece of his. (Yes, in case you didn’t know it – Michael Horse is not only an actor but also an artist.) Horse’s current art project reminded me a lot about Hawk’s “living map” from part 11 that had just aired. So I asked Michael if he had painted the in-show map. Yes, he said that he had. The way that Michael Horse creating a narrative through image composition is based on something that’s called ledger art. Ledger art is described simply as t”he practice of telling stories by pictures”. That might sound basic enough – but the term originated from the indigenous people’s habit of creating paintings on ledger paper during the 1800s. Therefore, in ledger art many of the paintings are full of numbers, statistics and categories in the background. Native American tribes used the ledger paper simply because it was the material that was available. During times of increased administration between the native people and the occupant settlers of the ”new world” that claimed the land and put Native Americans in reservations, there were a lot of ledgers to keep track of people, numbers and places. The artistic style of the part 11 map is linked to the ledger art tradition, and therefore it is useful in this analysis. I recommend that you see and hear Michael Horse talk about ledger art here: Part 1, part 2. Another good video about ledger art can be found here. In the case of for example totem poles, they should be read from bottom to top. Ledger art in a circular or swirl design is to be read inside and going out. If there are squares, as in the case of Hawk’s map, the work of art is not automatically supposed to be read top-left to bottom-right like a comic strip. The normalized ”Western” way of reading art (and text) from left to right isn’t necessarily true for Native American art. Time and space can differ and mix together on the same surface. The narrative in Native American art is created with lots of symbolism.  The artist aims to tell their story with clearly identifiable, sometimes stylized pictograms or ideograms. An important happening (in the past or one to come in the future) is often told alongside spiritual and emotional symbolism to express what role the spirits played or what role one wishes that the spirits will play in the event. 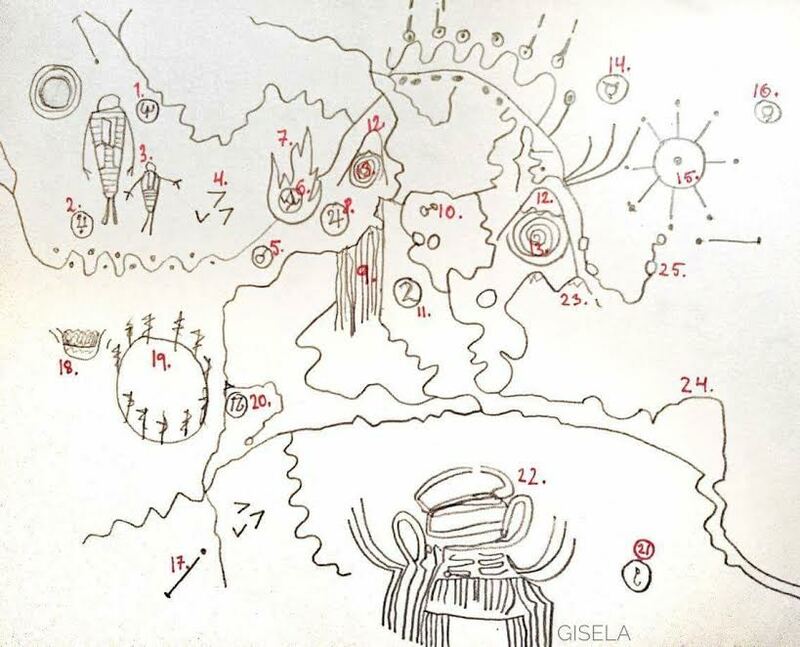 With this in mind, I’ll soon begin my interpretation of Chief Deputy Hawk’s elk skin map from part 11. As a Swedish woman, I am by no means Native American. Therefore my knowledge of Native American arts and symbolism is by nature restricted. Also, in no way will I claim that I have the correct answers, no matter how hard I tried. Because when it comes to interpreting art, the results are always more or less subjective. I do however have a degree in art history and I work as an art educator. This means that I interpret art (with groups) practically on a daily basis. This doesn’t make me a master of right answers, it perhaps only makes me more used to visual analysis. Just as in the case of my alchemical interpretation of the Owl Cave petroglyph, my conclusions here will be more or less subjective. As for my methods, I’ve researched Michael Horses stand-alone art, as well as the symbolism of the Native American and the tradition of ledger art. With this knowledge I have done my best to create meaning of Hawk’s map in the context of the Twin Peaks saga. I have enhanced the picture of the map to make it clearer, but it’s still partially blurred. Here’s a link to my full size picture of the map. As I go through each part of it, I recommend that you zoom in to take a closer look. If you have anything to add or comment on, please do so. In the reading of this map, I will start in the middle section and work my way out to the sides: left and right respectively. I’ll read each section bottom to top, as one would in the reading of totem poles. Buffalo and speaking/screaming people: Otherwise hunted, the buffalo turn away from the main figure. I personally don’t feel that the buffalos are attacking the people to the left, since there are no tracks or leg movements in the picture. Shaman dancer: The shaman dance is a spiritual ritual. The attention of the shaman is turned away from the buffalos and towards the running horse and the owl. The red “puff” that comes out of the mouth shows us that the person is screaming or speaking, in the case of the shaman maybe chanting. The shaman is dressed as a hawk or possibly a turkey (a piece of the shaman’s dress has fallen off, of it fell from another shaman). If dressed as a hawk: Except from being chief deputy Hawks spirit animal, the hawk is a messenger of the spirit world, has clear vision, is a leader figure and uses it’s great focusing skills to provide guidance and overcome obstacles. If turkey: More on this later. Teepees and log cabin: Symbols for home. This cabin reminds me of the Log Lady’s cabin. Red horse: The horse is running or fleeing. Both its legs and the hoof prints behind it indicates this. The color red in peaceful times represents happiness and beauty, but during wartimes it means violence, energy, blood, power and success. Water and water fall: White Tail Falls at the Great Northern Hotel? Water in general represents fertility, life and the ongoing flow of time. Big circle and smaller red dots: A clear circle often represents fire. Circles were however used in many religious contexts as well, and the bigger circle with red wedges appears somewhat similar to this. The circle has 13 wedges, one more than the Sycamores at Glastonbury Grove that would otherwise be a good visual reference. And I’ll admit that I think that the bigger circle resembles a cherry pie! Group of trees, left: Forest. Two mountains: The Twin Peaks. Hawk pointed out that the right mountain is the Blue Pine. The left mountain would then be White Tail. Three swallows: The swallow represents protection of the home, luck, happiness, communication, partnership, hope and faith. The three swallows seem to fly into the same direction – will they crash? In other words, are the good characteristics of the swallow bird in danger? Fire: Not a campfire, but ”a fire symbol”, this is to be interpreted as a ”neutral” fire. The potential danger of the fire ”depends on the intention behind the fire”, Hawk has told us. Just as I wrote in my Twin Peaks and Alchemy article, using fire to create gold can be for good or worse – even for bad, especially in the case of the greedy ”false alchemist” without interest in the metaphorical way of making gold: to purify the own mind and soul. Cave: On the base of Blue Pine Mt. there seems to be a cave. This could symbolize Owl Cave (despite it being physically located in the Ghostwood Forest), or possibly the ”netherworld” of Twin Peaks. In season 2 episode 20, Major Briggs explained that his secretive work with Listening Post Alpha (with its station situated on Blue Pine mt.) 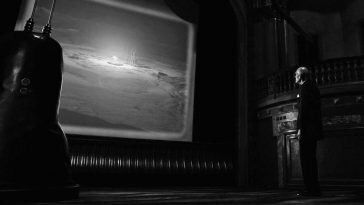 included examining extra terrestrial signals and, ”in the case of Twin Peaks; the earth below”, in order to find the White Lodge. 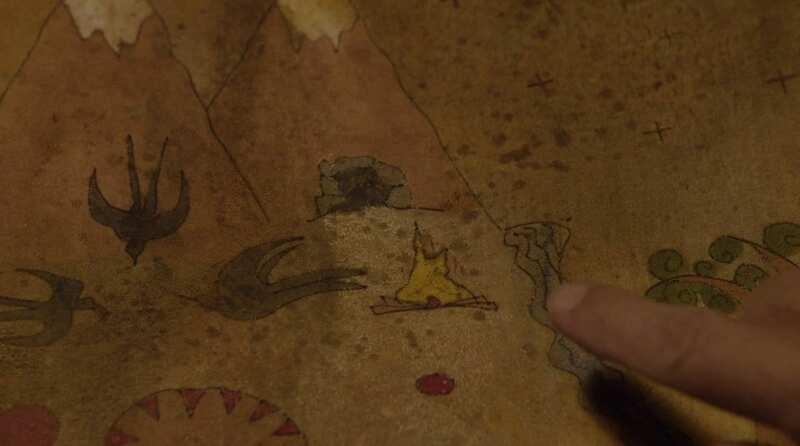 Could this cave symbol be a reference to this ”earth below”? Group of trees: Should symbolize a forest, maybe the Ghostwood. They doesn’t look like firs. Could they be sycamores? Yellow owl: Except for being a self-explanatory presence in the Twin Peaks mythos, the owl have a big mythos in Native American legends as well – especially for the tribes of the Great Plains. The owl symbolizes the night, the supernatural, bad omens, messengers of the near death of relatives, spirits and ghosts. An interesting thing to note is that the owl is considered to be arch enemy of the hawk, but the two spices can coexist in the same territory because the owl is active at night, and the hawk during the day. Stars and moon: Hawk told us that if one is reading of the stars they show the same dates as on Major Briggs’ note (October 1-2). The moon in Native American folklore is connected to silver, just as in alchemy. The moon stands for the night and mysteries. The evil symbol in between the twin mountains is known to us now from Mr. C, Major Briggs and Hawk. Its meaning is of course highly speculated. Many interpretations have been made, including my alchemical one, but the fact is that right now we don’t know it’s full meaning yet. First of all, the symbol is black – something that in the context of this particular map seems to be important and that indicates death, disease and destruction. Secondly, we know from Hawk that the symbol represents a terrible thing. While researching Native American symbolism and art (northwestern Great Plains tribes in particular), I came across a spirit entity called Ta’xet, ”the god of violent death” – one of a duality god or twin gods for Death. The other part, Tia, is described as the god of peaceful death. 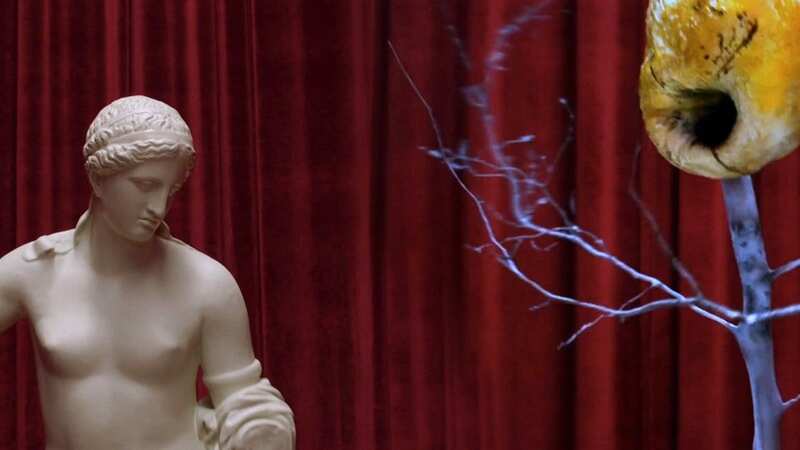 Unfortunately I haven’t been able to find any depictions of Ta’xet or Tia, but since the Twin Peaks mythos is lot about duality I couldn’t help but being interested. And frankly; a “god of violent death” sounds to me like one of the most terrifying things you could ever imagine. Considering the role of the owl and its symbolic meaning in both Twin Peaks and Native American mythology, I also want to mention the horned owl in relation to the evil symbol. 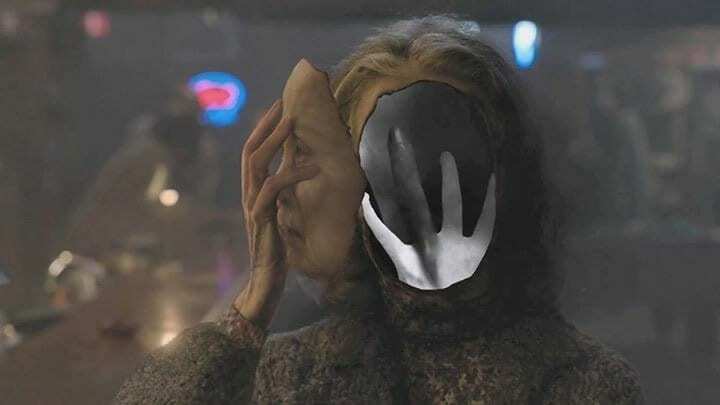 It’s been a fact that many Twin Peaks fans have noticed the visual connection between the alleged horrifying symbol that we don’t really know how to interpret yet, and the Owl Cave symbol we’ve all known for a long time. Considering what the owl represents in Native American legends, and paired with the look of its face and the ”horns”, it might be a good thing to mention again that there are at least visual connections to be made here. Now, let’s continue on with the analysis. Dragonflies: Happiness, healing, transformation, protection against danger and injury, purity and the element of water. Horses: Strength, power, love, stamina, loyalty, mutual respect, and devotion. (Possibly) Longhouse: Being a home, it symbolizes safety, community and friendship. Turtle: The World, to pace oneself, the ability to stay calm during stressful times, ancient wisdom, determination, peace and understanding. (Possibly) Deer or Elk: Endurance, bravery, protection, pride and survival. The rest of the left side is unfortunately hard to interpret due to the blurry nature of the picture. Wolf: Strong instincts, lack of trust (in yourself or others), intelligence, appetite, being a threat or feeling threatened, vulnerability. Since this wolf is alone here, it might indicate the above characteristics are pointed to itself – a warning to be aware of the self. Being black, it is connected to the black fire. 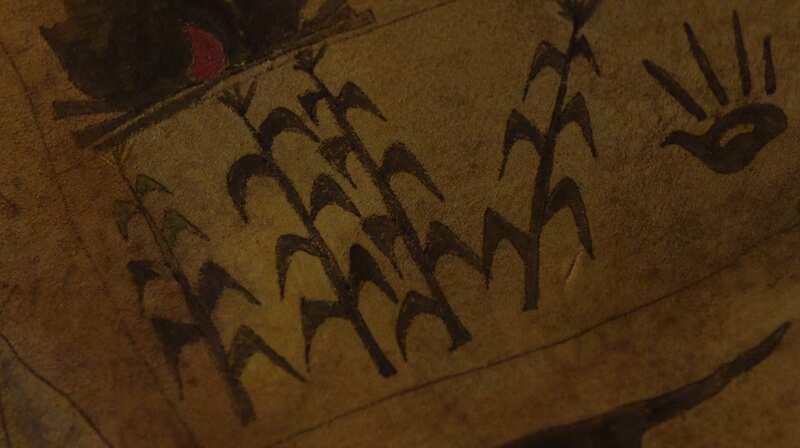 Corn: Just as Hawk said, corn or maize is a fertility symbol. But as he also says: ”it’s black. Diseased or unnatural. Death.” Creamed corn, the Garmonbozia, is the physical manifestation of pain and sorrow and the food for the evil entities from the Black Lodge. Since Garmonbozia is creamed and allegedly sometimes canned, the corn is processed instead of fresh. This might be the “unnatural” part of it. In the map, please don’t miss to note that one of the corn plants is still healthy at it’s top. Is there still hope? Black fire: The spreader of ”the blackness”, in other words: the source of diseases and death. The ill indented result of the use of fire. (Possibly) Black turkey or hand print: Hand print, general: success in combat, energy to the bearer. 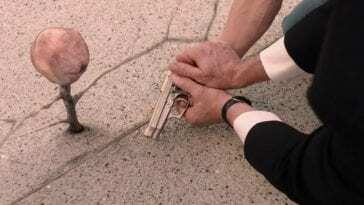 If bloody hand: wounded or killed. If turkey: More on this later. A black wolf behind three people: The threat of the wolf, now turned outwards towards the surroundings. The people are trapped between the black fire of death and the black wolf of uncontrollable instincts. The people are seem speaking or screaming. Mountains, stars, etc. 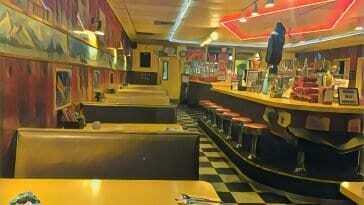 : Twin Peaks. A falling star. Could the arm be Mike’s arm, The Evolution of The Arm, also a tree? 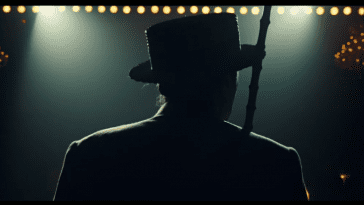 A cowboy looking person wearing a hat, eyes shut, talking. ”The magician longs to see. One chants out between two worlds”? Hoof prints leading away indicating a fleeing horse we no longer can see. Bear claw/bear print: Strength, mobility, good omen. For who? Red star: Falling or dying star. Clouds: Rain. Red raindrops could possibly indicate blood spill. 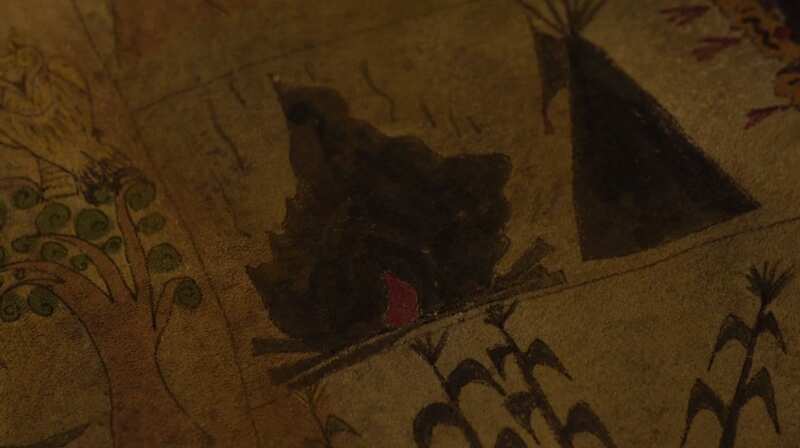 Let’s say that the black symbol next to the black corn in the map is a turkey and not a hand print or anything else. Let’s even say that the dancing shaman is dressed as a turkey and not as a hawk. What could all of it mean? In Native American symbolism the turkey is a common symbol for fertility, abundance, spiritual connections to and the honor of Mother Earth, generosity, harvest, communities, sharing and the access to a fulfilled life. It seems to me that all of these traits are positives ones you’d wish would be a part of your life and the lives around you. It also reminds me of the true Alchemist’s wish to climb the ladder of the seven steps of transmutation that I have previously written about. But what happens to these characteristics in a context of disease, death and the unnatural, as in the case of the possible turkey in Hawk’s map? Just like in the case of ”the shadow self” of the doppelgänger, I believe the symbolism will become its own opposite. Instead of being a symbol of fertility, the black corn means disease. The once positive symbol of the turkey, when blackened by the black fire instead becomes egocentric, destructive, uncaring and ruthless to Mother Earth – just as when the Trinity bomb exploded, causing much damage upon the Earth and allowing BOB to find his way through to the world in part 8. 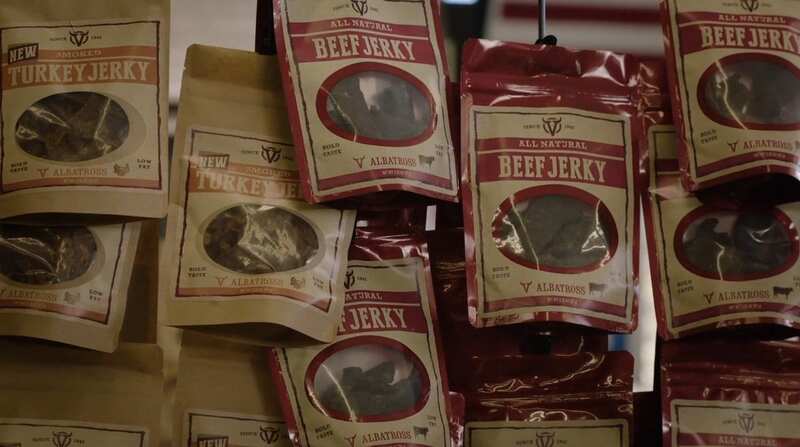 This is why I reacted instantly when I saw Sarah Palmer’s reaction to the turkey jerky, asking specifically if it was smoked. 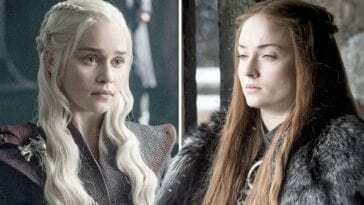 I felt that what she was really saying was: Are the meanings of the turkey diseased by the black fire – the same destructive force that ruined my life and took away my family? 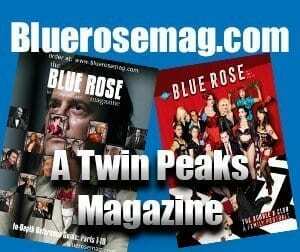 Fellow 25 Years Later Site writer John has written more about the turkey jerky that makes Sarah Palmer lose it in part 12, as well as mentioning the fact that Laura Palmer tells James she’s ”long gone as a turkey in the corn” in Fire Walk With Me. Read his article here. 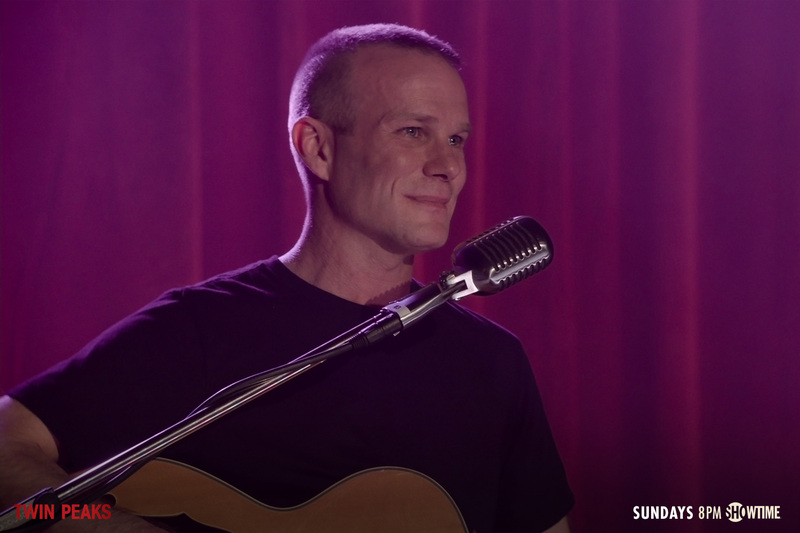 Something big is about to happen in the Twin Peaks saga. We pretty much know this – but we don’t know what or how it will be yet. This is also the case for all of the major players: Hawk, Truman, Cooper, Mr. C, Laura, Richard, Bobby, maybe Philip Jeffries, BOB and Mike… the list is pretty long. Right now, as I write this, episode 13 will air in about 10 hours. In what happens right now in The Return, we are still standing in the middle section of the map. We’re waiting for outcomes, wondering what way things will go. Hawk warns Truman that if the fire in the middle is combined with the corn on the right, death will follow. We’re not yet in the right part of the map, but its forces clearly affect the world of Twin Peaks, the town in particular. Many people are ill, there’s no balance, evil forces are showing themselves on a regular basis. The blackened woodsmen are also manifestations of these forces. We’re in the middle part – but the right part of the map is threatening all existence, happiness and peace with it’s non fertile and diseased death-ridden reality. There are without a doubt at least two different scenarios or directions to take from here. There may be strength, development, friendship and healing – all of the things we’ve seen in the left part of the map. Or there may be destruction, misuse of power, death, sorrow and the spilling of both blood and tears ahead. 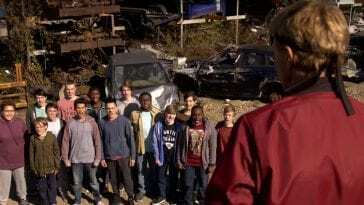 Hawk: Cooper, you may be fearless in this world. But there are other worlds. Worlds beyond life and death. Worlds beyond scientific reality. Hawk: My people believe that the White Lodge is a place where the spirits that rule man and nature reside. There is also a legend of a place called the Black Lodge. The shadow self of the White Lodge. Legend says that every spirit must pass through there on the way to perfection. There, you will meet your own shadow self. My people call it The Dweller on the Threshold. 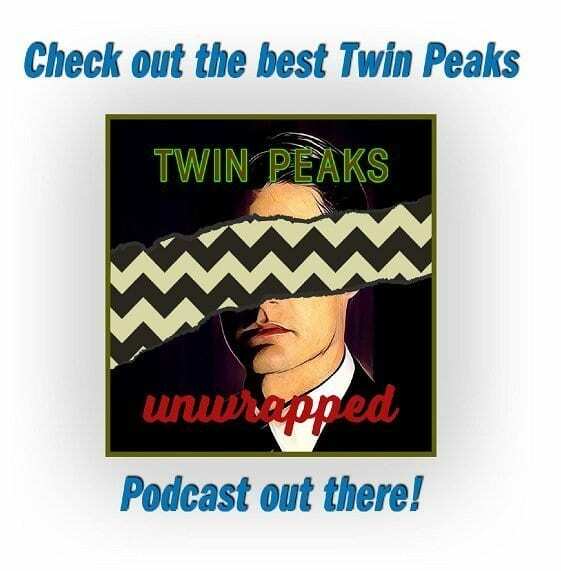 Hawk: But it is said that if you confront the Black Lodge with imperfect courage, it will utterly annihilate your soul. 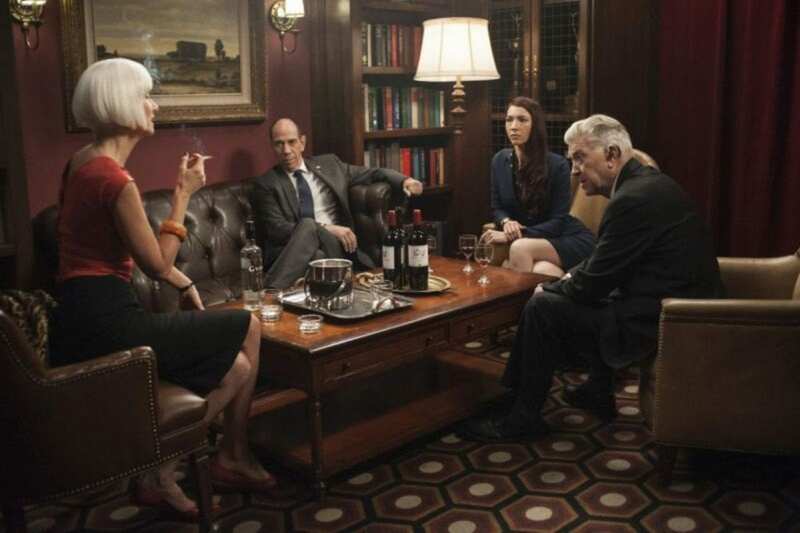 The confrontation ahead, whatever it will be like, is going to be (the real) Agent Cooper’s second challenge. Getting scared by the threats presented to him in the Black Lodge the first time, he failed to overcome the fear. Therefore his soul was trapped. And even though his physical body is no longer stuck in the lodge, more than 25 years later and 12 episodes into The Return we are still hoping for him to regain his former self. And when he does, he must better be ready for the challenges ahead. Because I dare say – They will come. Whether or not to take Hawk’s words literally or metaphorically isn’t completely clear to me. I don’t rule out that the map in part 11 ”is always current” because of the fact that the threat of evil forces unfortunately always seem present, no matter when or where you live. On the other hand, the thought of revisiting Hawk’s map later in The Return and seeing something different, that something that has changed in it, is a very intriguing thought. Lastly, I want to share something from Mark Frost’s The Secret History of Twin Peaks with you. 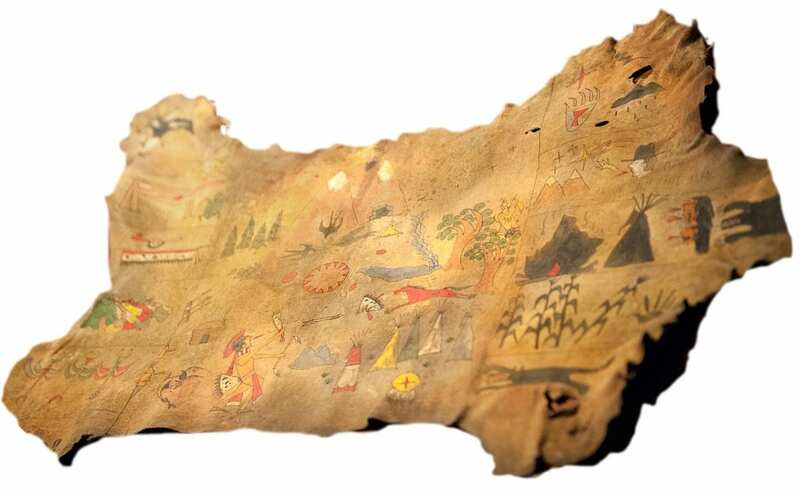 In the beginning of the dossier, there are several mentions of a map drawn by Nez Perce chief Twisted Hair on elk skin. The map is given to explorer Meriwether Lewis, who mentions it in a letter to then president Thomas Jefferson. Jefferson then has his own concerns about the whole thing, and we later learn the map is lost. Do these letters refer to the same map as Hawk’s? Is it another one map but from the same origin? If it’s the same map, how did it end up belonging to Hawk? I’ll leave you thinking about that. Oh, one more thing. You remember Hawk talking about the fire symbol and the “intentions behind the fire”? Implying as well that fire is “like modern day electricity”? Well, take a look at this excerpt from the above right picture. Written by Thomas Jefferson, he refers to Meriwether Lewis description of his experiences at the place to where the map from Twisted Hair had lead him. Lewis suggests it felt like being close to “the mysterious force that Benjamin Franklin had stumbled upon”. And what force is that? Yes, you guessed it: Electricity. This is the best article I’ve read on this site and I’ve read them all. Thank you, genuinely thank you. That makes me very happy! Exceptional writing – my head is spinning! You move between two worlds. This is very interesting work. You are super smart. 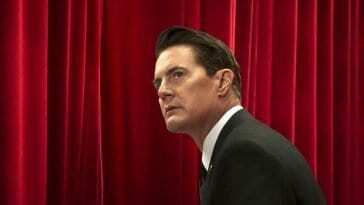 This crossed my mind: Do you think that Dougie is doing some kind of redemptive work for Dale Cooper’s soul? 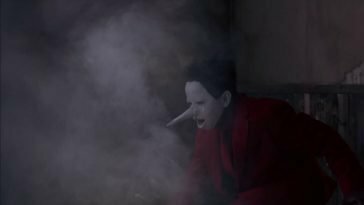 I’m remembering that he came out of the electrical socket, as smoke that then manifested into Cooper/Dougie. Also, given your alchemical interpretations, I’m thinking that the shoes are important (the lost shoes) and that they bear some signification, perhaps to the lower self being lost? I’m remembering David Lynch has a connection with The Wizard Of Oz, and as you would never be able to miss in The Return, the Red Shoes 👠 are everywhere., Perhaps these shoes being left are a way of letting us know that since the SHOES were left, Cooper ( real Cooper) after traveling through the Lodges, black and White, he can never go home again, or home is not the same. Intriguing. 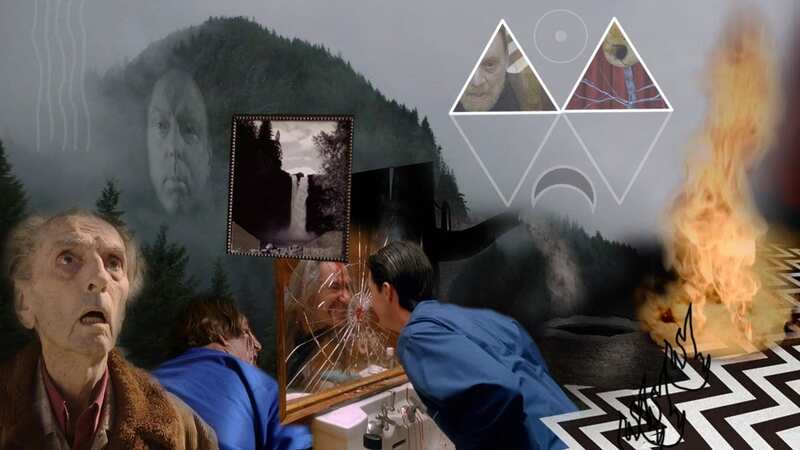 I’d like to point out the space between the two mountains of Twin Peaks.. could this be a liminal space between two states and could that space be personified in Dale Cooper. A Dake after all is a valley between two peaks. Very interesting. Laura also told James that she was a turkey in FWWM. When I think of turkey I think of the first thanksgiving feast. Turkey was sacrificed to bring two worlds together (native americans and pilgrims). But of course one world then went on to almost annihalate the other.